Make A Homemade Sports Drink With Natural Ingredients. If you're in good shape, you'll use between 3 and 4 grams of carbohydrates a minute during intense and continuous exercise. Your body draws this from its store of muscle glycogen. Just how much of a reserve you have depends on your size. A trim 150 pound male who has fueled up his body properly can expect to have 390-410 grams of muscle glycogen in reserve. This means that his supply will be depleted in less than two hours of intense activity, after which his body would switch to using his blood sugar. This supply does not last long, and it's likely that before or not long after the two hour mark he will "hit the wall", and have his performance drastically impaired. Restocking your sugar supply through your homemade sports drink mid game is critical to staying competitive. Water: The dangers of dehydration are well known to the general public. We lose a lot of water through perspiration during exercise, and unless you stay hydrated the consequences can be dire. Despite years of warnings from doctors, it's still common to have several cases of high school sports players dropping dead during a practice in the summer heat every year. But Even in the best-case scenario, dehydration leads to impaired performance. So Why Is Your Homemade Sports Drink Superior to the Commercial Brand? Once you become familiar with the tactics used by sports-drink formulators to keep you swilling, you'll likely be disgusted. The Key To Their Success: Salt, And Lots Of It. You've probably heard a coach or other authority figure harp on the need to drink enough water to stave off dehydration during exercise. They're correct about it being a major concern, because athletes often fail to drink enough water and sometimes pass our or die. So sports-drink formulators have come up with an ingenious way to get you to drink more (supposedly for your safety, but equally because it means you buy more of their product). All they need to do is add lots of salt. When salt is added to a drink, people consume a lot more of it. The formulators note this increased intake of liquid as the reason they add so much salt. It sounds like they're virtuously fighting against dehydration. Yet if we stop to think a moment, we realize how this idea will quickly lead us to a dangerous dead end. What does salt do? It dehydrates us. People quickly die if they drink too much salt water from the ocean. What do they die of? Dehydration. Despite drinking it with tons of water, the salt is so dehydrating that they die. So yes, salt makes us thirsty and we do drink more after consuming it, but we do so at the cost of dehydrating ourselves, the very thing drinking liquid is supposed to fight off. 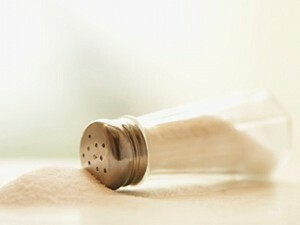 Consuming salt always means a net loss in hydration. You can learn more about the dangers of consuming salt here, and the importance of staying hydrated here. We do require sodium to continue to function at our best, but not nearly the level provided by commercial sports drinks. What food satisfies hunger better than any other? Simple sugars. Formulators found athletes drank less of a sports drink (hurting their bottom line, and possibly causing dehydration) when they were sweet, so they went with tasteless complex carbohydrates instead. And so they came upon their formula - brilliantly mixing salt water that doesn't quench your thirst and complex carbohydrates that won't satisfy your hunger. And why does it sell so well? Because of how well it doesn't satisfy our needs. You have to keep coming back for more, but more is never enough. It's brilliant, really. Anyone with a good blender can whip up a homemade sports drink far superior to anything made in a factory. How? Raw fruits, raw vegetables, and water. The fruit supplies you with the electrolyte potassium and the simple sugars you need to restore blood sugar and glycogen. The vegetable gives you the modest amount of sodium you need along with other important minerals. The water hydrates, without the attached impairment of carrying tons of dehydrating salt. Fruit digests extremely quickly, and glucose sugars from fruit will start to enter your blood steam just minutes after they hit the stomach. Compared to the uptake time of complex carbohydrates, it's night and day. Vegetables, such as celery, supply you with sodium that easy to digest. This amount is very modest compared to the salt found in most food and commercial sports drinks, and will not dehydrate you. Fruit will satisfy your hunger but won't won't sit in your stomach in a cramp-causing lump for long periods of time. You can choose whatever fruits and vegetables you like. I suggest you don't blend more than one type of fruit with one type of vegetable for the sake of easy digestion and proper food combining. In the vegetable category, I like celery the best because of its high sodium content and quick digestion. You may have success with various high-electrolyte leafy greens such as lettuce and spinach, however. You'll want fruit that are fairly high in calories. The banana is usually a good choice, but don't feel like you have to limit yourself. I've used several dozen varieties of fruit successfully. It's important that your fruit is properly ripened. 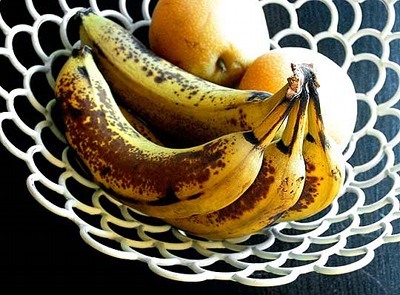 Bananas, for instance, are not ready to be eaten before they are spotted with brown. Eating them while still green means they're still more starch than sugar, and indigestion and gas may result during a sporting event, which won't be fun. The major variation from one homemade sports drink to another will be the thickness. Cramping is a major concern when eating too much bulk, so you want to make sure you blend in enough water to suit the occasion. Generally, endurance sports such as sprinting or long-distance running pose the greatest chance of cramping, and you'll want the most water added to blends for these events. If your activity does not require a ton of fast movement, such as weight lifting, you can afford to drink thicker sports drinks that resemble smoothies. So what's the best water to fruit ratio? It will vary greatly depending on the water content of the fruit. For instance, I add no water to my watermelon-celery blend because watermelon is over 90 percent water, and it doesn't need it. If you're running, a maximum of two medium bananas for every quart of water is probably a good starting place. If you won't be very active, you can make your drink much thicker. Everyone's digestive system is at a different state of robustness, and experimentation will help you find the best combination for your homemade sports drink. When I started training for my first marathon in 2008, I tried lots of different fruit and vegetable varieties. First I started off with bananas, but probably due to my old affliction of colitis, I've never been able to handle them well. The majority of raw food athletes I know rely on these as a homemade sports drink staple, so I don't want to put you off to them. The problem made me look elsewhere for solutions, however. The one I settled on for my marathon was celery and watermelon, and I went through three water bottles full of the mixture doing the race. It kept me extremely energetic and caused no cramping. Since then, I've discovered that creating soak water from dried and semi-dried fruit is a good way to eliminate the chance of cramps because little fiber gets in. Basically, I soak dates or raisins in water overnight. The next morning I pour the water into my blender to add in the celery. This mixture I put in my water bottle. Most of the dried fruit stays behind, and I usually blend this into a post-activity recovery smoothie. If you're not running, you probably don't need to leave out the fruit pulp. A thick mixture of whole dates, water, and celery recently kept me fueled during a 5-hour strenuous river kayaking trip. I was really impressed at how full of energy I remained despite paddling almost continuously. Everything digested very well. Pick up the best blender for making a homemade sports drink. Learn about a healthy raw food diet that will fuel your athletic endeavors.